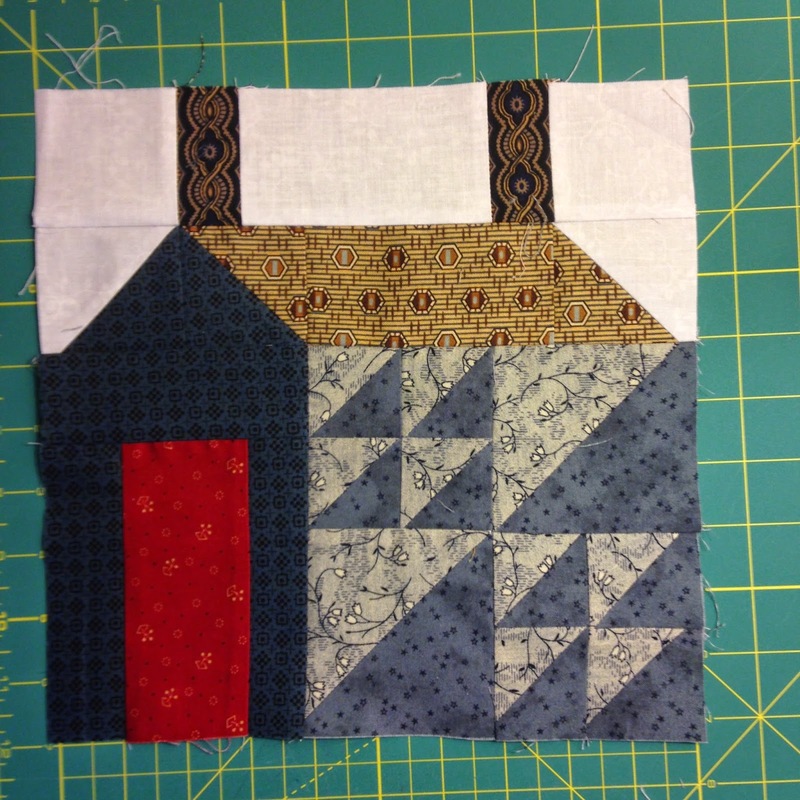 I've been playing catch up on my Log Cabin Houses Block of the Month from Quilts With A Heart. I worked on the log cabin part of the blocks earlier and apparently I didn't take photos of them. Here are the houses that go with the log cabin blocks. Have you noticed that all my houses have a red door to coordinate with the red center of the log cabin blocks. 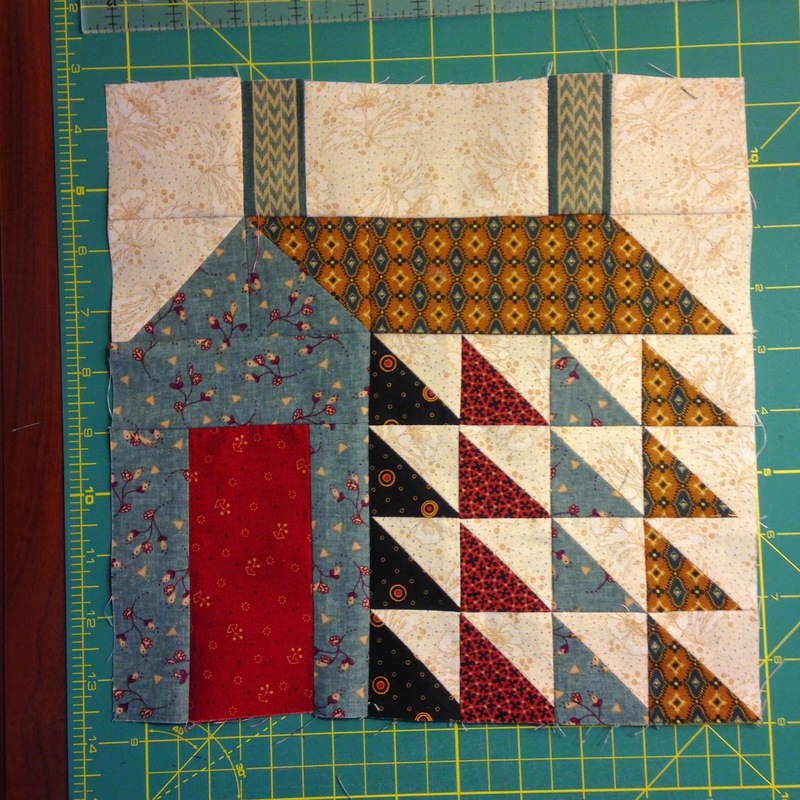 The houses are all alike as far as pattern goes and a really easy one to put together. 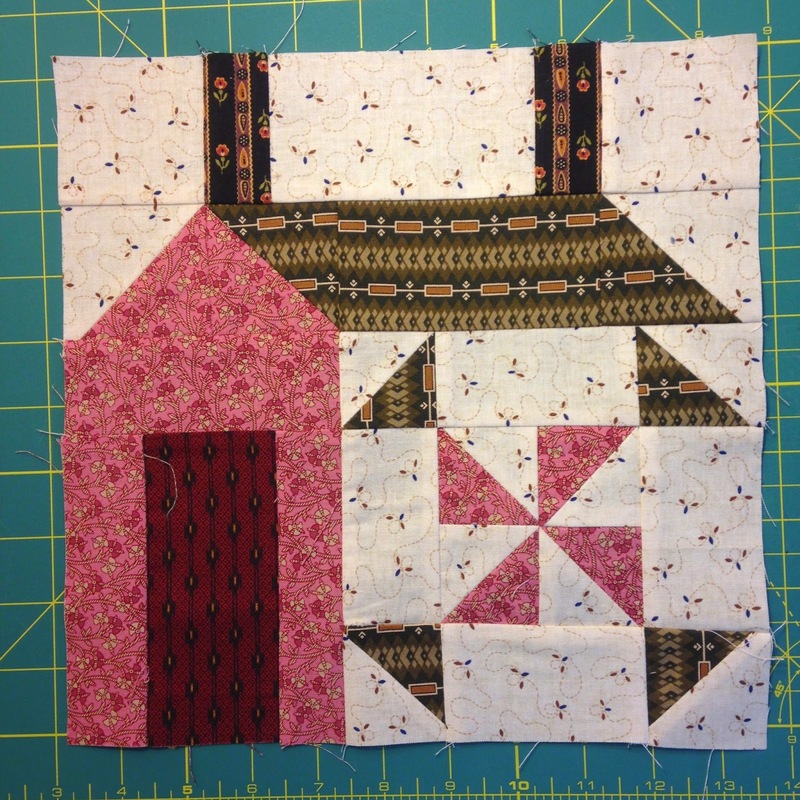 The "quilt block" in the house is a 6" block, making the finished block 10"
I'm loving the way these houses are turning out. I only have 1 more month to go and I can't wait to set it together.